Hey Roadies! Ready for some new freebies? Our latest fabulous kit, Vintage Beauty is now shipping and has some new (and absolutely free & beautiful) digital cutting files to go along with it! Are you ready for some great files to make your crafting easier? You'll be able to use these beautiful and classic files over and over! What great way to add beautiful and exclusive cutting file designs to some sweet crafting fun! All of it is designed to get you crafting, enjoying making beautiful projects and it's a great way to add special extras to your paper crafting. We have EIGHT amazing cutting files to share this time, that are absolutely stunning for your mini album and for spring crafting! We know you're going to love them! These cutting files are all inspired by the Vintage Beauty Kit and classic Maya Road style! While they work perfectly with the coordinating kit, be sure to use them over and over. These digital cutting shapes will work great on layouts, cards and other projects as well. That's the beauty of digital files...they can be used limitless times! The Vintage Beauty Kit is an absolutely fabulous mix of creative product that is all designed to go together. It's full of amazing exclusives that you won't find anywhere else and you seriously can not beat the value! Feel free to purchase the kit at the link below or go to the full release page here to check out all the fabulous details, get inspired and shop our amazing add-ons! If you purchased our Vintage Beauty Kit, thank you so much and enjoy! Kits are now shipping! Enjoy the digital cutting files and happy creating! Hey Roadies! Ready for some new freebies? Our latest fabulous kit, Holiday Treasures has now shipped and has some new (and absolutely free & beautiful) digital cutting files to go along with it! Are you ready for some great files to make your crafting easier? You'll be able to use these beautiful and classic files over and over! What great way to have some holiday crafting fun! All of it is designed to get you crafting, enjoying making beautiful projects and it's a great way to add special extras to your paper crafting. We have SIX great holiday cutting files to share this time around that we know you're going to love! These cutting files are all inspired by the Holiday Treasures Kit and classic Maya Road style! While they work perfectly with the coordinating kit, be sure to use them over and over. These digital cutting shapes will work great on layouts, cards and other projects as well. That's the beauty of digital files...they can be used limitless times! The Holiday Treasures kit was such a hit that it is already SOLD OUT! If you purchased our Holiday Treasures Kit, thank you so much and enjoy! Kits have already shipped! Enjoy the digital cutting files and happy creating! Hey Roadies! Ready for some new freebies? Our latest fabulous kit, Autumn Wonder is now shipping and has some new (and absolutely free & beautiful) digital cutting files to go along with it! Are you ready for some great files to make your crafting easier? You'll be able to use these beautiful and classic files over and over! Even better, they coordinate with our latest Card Kit release, Autumn. 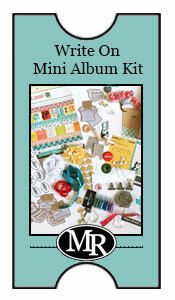 All of it is designed to get you crafting, enjoying making beautiful projects and it's a great way to keep in touch. We have TEN great cutting files to share this time around that we know you're going to love! These cutting files are all inspired by the Autumn Wonder Kit and classic Maya Road style! While they work perfectly with the coordinating kit, be sure to use them over and over. These digital cutting shapes will work great on layouts and other projects as well. That's the beauty of digital files...they can be used limitless times! While you're here, don't forget about the coordinating kit, Autumn Wonder. This gorgeous kit is inspired by this special time of year full or rich colors and fall celebrations. It is full of absolutely stunning product and exclusives that you can't find anywhere else! Autumn Wonder is available for purchase here. If you've already purchased our Autumn Wonder Kit, thank you so much! It is already shipping and should be on your doorstep soon! Enjoy the digital cutting files and happy creating! Hey Roadies! Our latest fabulous kit, Work of Heart is about to ship and has some new (and absolutely free & beautiful) digital cutting files to go along with it! Are you ready for some great files to make your crafting easier? You'll be able to use these beautiful and classic files over and over! Even better, they coordinate with our latest Card Kit release, Work of Heart. All of it is designed to get you crafting and creating your own works of heart. We have NINE great cutting files to share this time around that we know you're going to love! These cutting files are all inspired by the Work of Heart kit and classic Maya Road style! While they work perfectly with the coordinating kit be sure to use them over and over. These digital cutting shapes will work great on layouts and other projects as well. That's the beauty of digital files...they can be used limitless times! 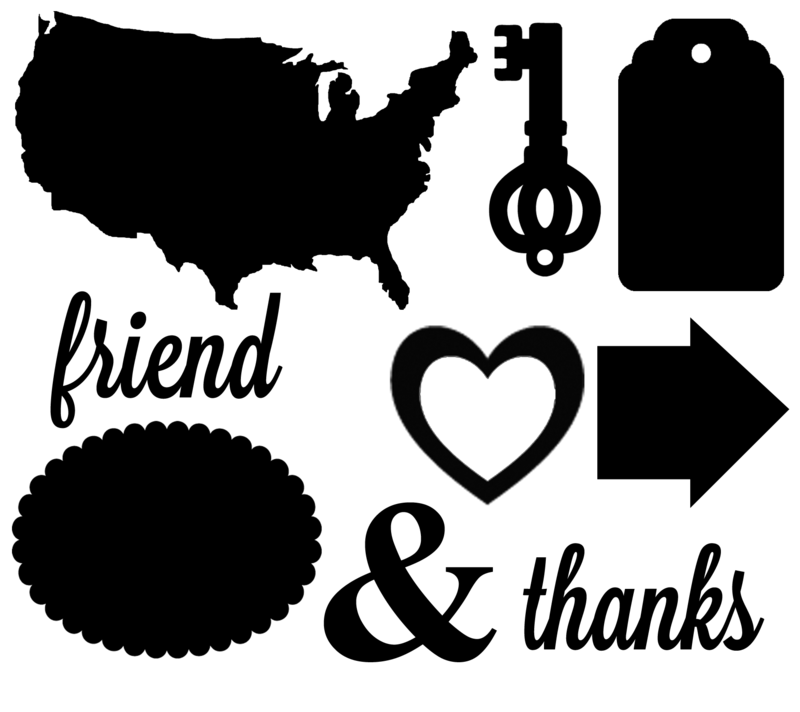 Here's an idea of how you can use some of our digital cutting files in your own projects with the Work of Heart kit? The full instructions can be found here. While you're here, don't forget about the coordinating kit, Work of Heart. This fun and trendy kit is inspired by a love of crafting and is full of absolutely stunning product and exclusives that you can't find anywhere else! Work of Heart is available for purchase here. If you've already purchased our Work of Heart kit, thank you so much! It starts shipping now and should be on your doorstep soon! Enjoy the digital cutting files and happy creating! Hey Roadies! 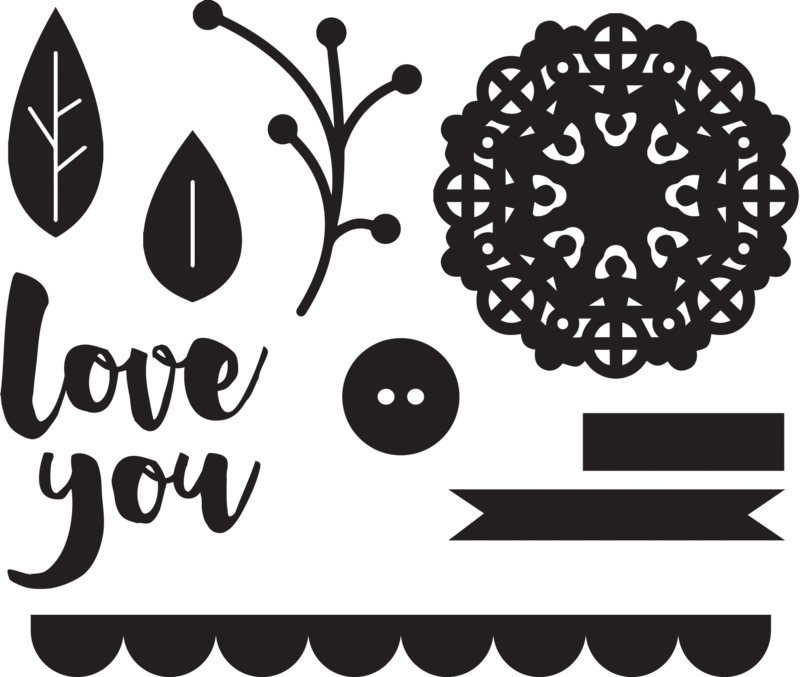 Our latest fabulous kit, Forever Yours is about to ship and has some new (and absolutely free & beautiful) digital cutting files to go along with it! Are you ready for some great files to make your crafting easier? You'll be able to use these beautiful and classic files over and over! Even better, they coordinate with our latest Mini Album Kit release, Forever Yours! We have EIGHT great cutting files to share this time around which can translate to even more if you use the negative images from the cuts as well. These cutting files are all inspired by the Forever Yours kit and classic Maya Road style! While they work perfectly with the coordinating kit be sure to use them over and over. 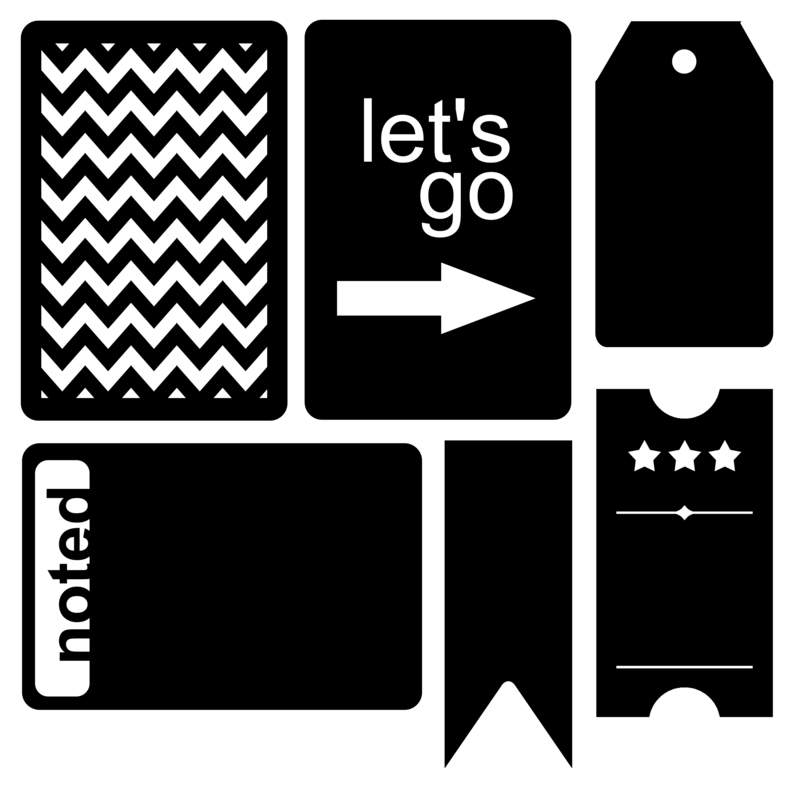 These digital cutting shapes will work great on card designs and other projects as well. That's the beauty of digital files...they can be used limitless times! 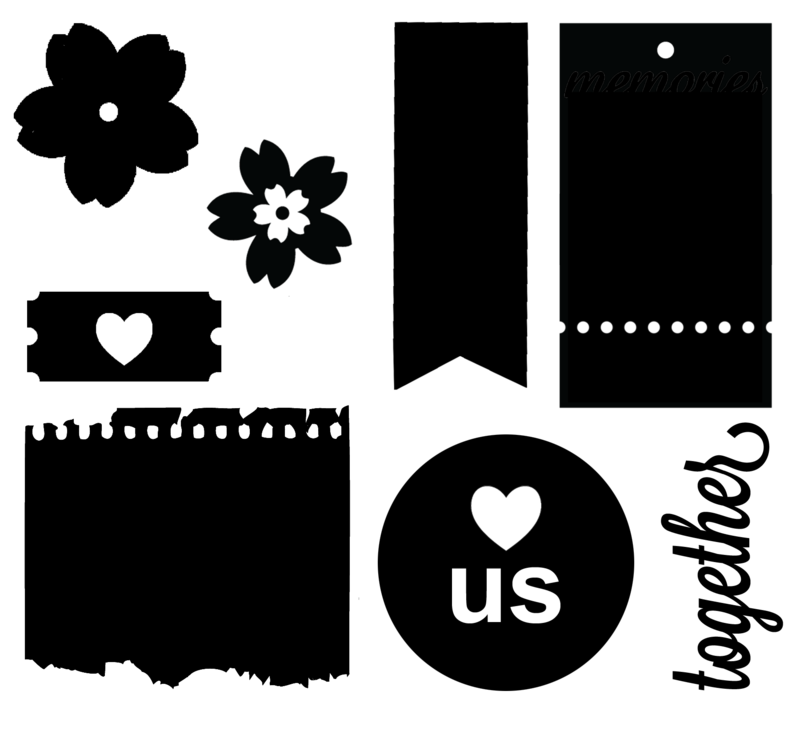 How about a sample of a mini album page you can recreate using these digital cutting files and the Forever Yours kit? The full instructions can be found here. While you're here, don't forget about the coordinating kit, Forever Yours. This romantic and lovely kit is perfect for spring and is full of absolutely stunning product and exclusives! Forever Yours is available for purchase here. If you've already purchased our Forever Yours kit, thank you so much! It starts shipping tomorrow and should be on your doorstep soon! Enjoy the digital cutting files and happy creating! Check it out! Our latest kit, Beautiful You is shipping and has some new (and absolutely free & fabulous) digital cutting files to go along with it! Are you ready for some great files to make your crafting easier? You'll be able to use these beautiful and classic files over and over! Even better, they coordinate with our latest Classic Kit release, Beautiful You! We have NINE great cutting files to share this time around which can translate to even more if you use the negative images from the cuts as well. These cutting files are all inspired by the Beautiful You kit and the Beautiful You exclusive stamp set. You can cut out these circles and layer them, use them as accents and many of them make wonderful mat layers behind the Beautiful You stamps. 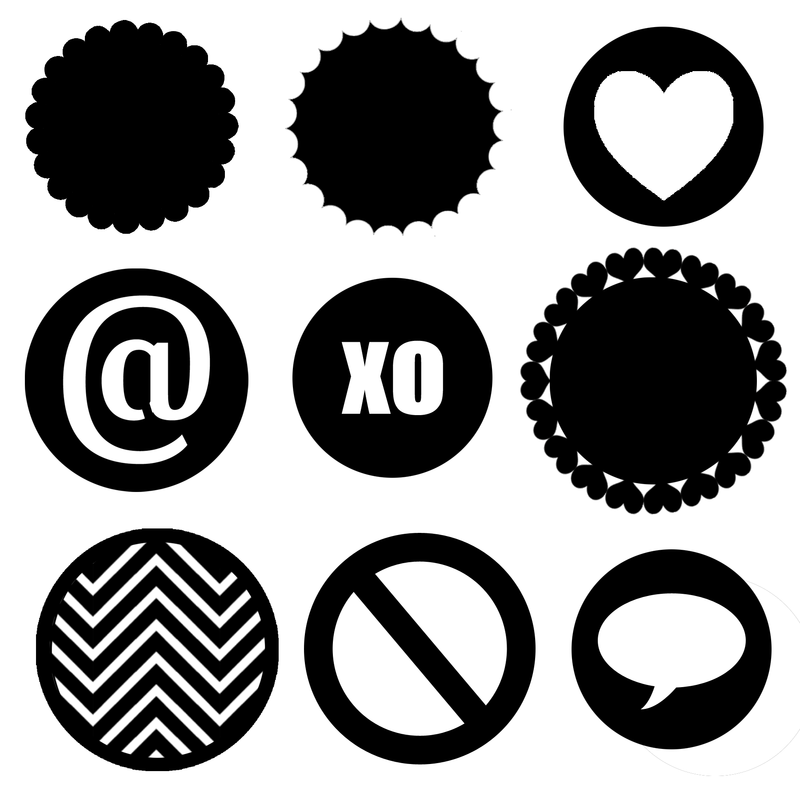 Here's a fun trick for you: try changing the size of the circles in your cutting machine before cutting them out for limitless possibilities! 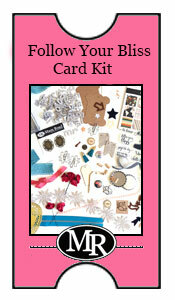 How about a sample design of a card you can recreate using these digital cutting files and the Beautiful You kit? The full instructions can be found here. While you're here, don't forget about the coordinating kit, Beautiful You. It's been a hugely popular release and we're almost sold out! Beautiful You is available for purchase here. If you've already purchased our Beautiful You kit, thank you so much! It's now shipping and should be on your doorstep soon! Enjoy the digital cutting files and happy creating!